Yesterday Major League Baseball released the first voting results for the 2013 All-Star game. For the second year in a row, David Wright sits in second place at third base behind Pablo Sandoval of the San Francisco Giants. This is completely unacceptable. 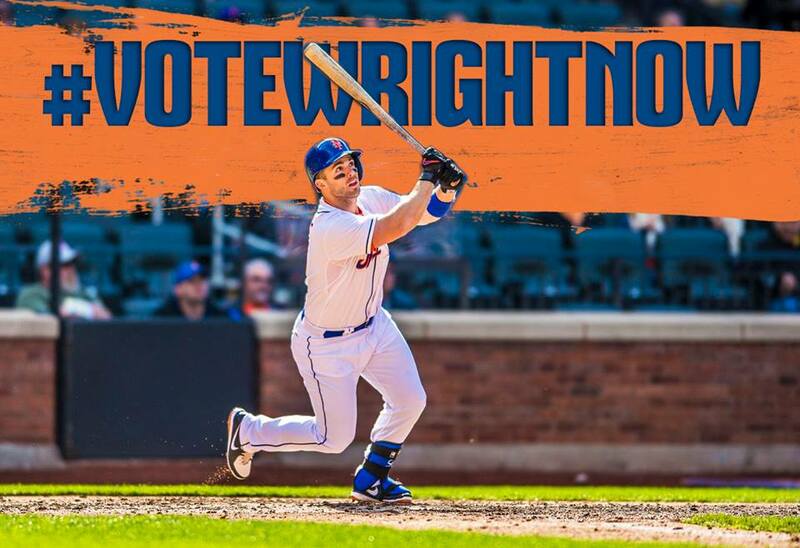 With the Mets hosting the All-Star game at Citi Field this year, the fans need to step up and win our Captain David Wright that starting spot. I’m not a huge fan of the All-Star voting system, it is more of a popularity contest than anything else. The game used to be meant for the fans, which made it completely acceptable to use that system. In my opinion, once it was decided that the winning league would earn home field advantage in the World Series, the voting system should have been dropped. But it is what it is and starters are still currently decided by the vote. Last year, David Wright led the voting for nearly the entire way until the final results revealed that Sandoval had jumped Wright in the final week and earned the starting nod. That was a disgrace, as Wright was clearly having a better season at that point. This year Mets fans need to show some pride and earn some payback for what happened last year. Sandoval, is off to a better start this year but Wright’s numbers aren’t far behind as he tries to carry a much weaker team on his back. After all, the game is in our ballpark. It’s always special each year when you watch the All-Star game and the local player gets announced. That’s when the fans really show their appreciation for their star players talent and contributions. David Wright made a commitment to stay with the Mets this off-season, granted he was paid mightily for his decision, but nonetheless he could have gone elsewhere after this season and made the same, if not more money. This would be a very fitting way to thank the face of the franchise, getting him that starting position and cheering him accordingly as he runs out of the dug out during the pregame ceremonies. The Mets don’t have very many players in the mix to make this team. Only one other player, John Buck, is even in the top 5 of voting for his position. Daniel Murphy may have a shot at making this team as a reserve, but that’s about it as far as position players are concerned. I fully expect Matt Harvey to be named one of the teams pitchers, and if the Mets can earn him a few more wins, he will be in the conversation for the games starting pitcher. However, we can’t control either one of those scenarios, but we do have some control in David Wright’s fate. You can vote up to 25 times per email address. That may sound like a lot of time and hassle to some, but you have a few weeks to space out the voting if you really want too.